How to Avoid these 2 Common Wedding Planning Mistakes? Is It Possible to Stay Within the Wedding Budget? Newlywed couples are the best place to start when asking for advice on your wedding planning journey – most specifically, the bride! She tends to be the one to micromanage the details. The most common mistake that couples can make is not staying within their determined budget – and from there other problems seem to rise further down the planning process. We found some practical tips for engaged couples on how to avoid mistakes in their Big Day plans! Rushing your Big Day may sound spontaneous and romantic, but depending on the size and complexity of the wedding you are planning, you’ll need the time to spread out the deposits and final payment. Financially, it can be a little stressful to pull off your dream wedding in 4-6 short months. While no one wants to be engaged for a year or more, the truth is that you may need longer than six months to pay for the wedding you want. Estimate the costs of individual vendors and make a financial plan with your fiance. Get out your calendar and estimate the amount of the deposit dates of each vendor, as well as the final payment and due date. You may need to do some reverse engineering to figure out how long it will take you to earn that money. Make the payments on time without going into deep debt at the beginning of your marriage. Once you and your fiance have determined payment dates, then you will be able to eliminate some of your wedding planning stress by spreading out those bills. You may need to push your special day a couple of months further, for the sake of taking some financial load off of your plate. Have a clear conversation about exactly how much you can expect and budget that amount accordingly. Financial advice from family or friends shouldn’t be overlooked. It’s good to listen to people who care for you as a couple but can still see things outside the romantic cloud that sweetly entangles you. Once again, shop around. Visit as many venues as you need to to find one you both love and can afford. Truly, it isn’t one or the other. You may visit three or four venues and feel like you must choose to love the venue – or “afford” the venue. Keep looking. Be willing to spread your borders a little, too. You may need to head just outside the area, or search for that little-known place that’s just perfect. It doesn’t really matter if the venue is popular. You want the right fit for your style and your budget! If you must book the expensive one, ask them about dates where they would be willing to cut you a break on the price. If you’re willing to be flexible, some places may have different options to consider. A tent may be a fabulous solution and is not uncommon nowadays. Tents allow you to create a magical place even when it’s not that magical outside. Also, event tents come in all shapes and sizes, including the ones that have little or no outside visibility. It may be another option worth your consideration. Colorado Party Rentals can keep you on track and within your budget! Don’t make some of these common mistakes many couples make when planning their wedding. 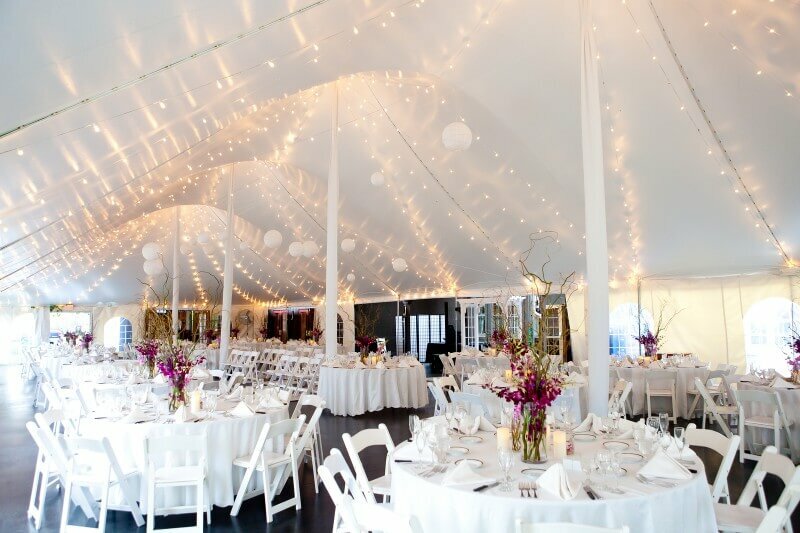 Let Colorado Party Rentals help you choose the best rentals for your venue! Big or small, indoor or outdoor, near or far; our dedicated staff will guide you in choosing the best rental equipment for your needs! Whether your event is near Denver or anywhere in Colorado, book with us today and let the party experts take care of everything!